They ‘avin a laugh or wot mate? 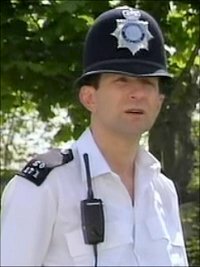 Yep… even police constable Reg Hollis is bemused. Old Bill have issued an arrest warrant for whoever is responsible for ripping off Aussie Netflix users. Hooray. Now it’s gonna be a while before business models across the world change, so in the meantime how about we just access Netflix UK from Australia? It takes 5 minutes, is easy to set-up and unlocks access to all the great UK Netflix content without ever having to leave your lounge-room in Australia. So the question is, how to get Netflix UK in Australia? It’s a really simple process that involves only a few steps. You’ll be up and running in five minutes. Okay I think you get the picture. The Netflix UK library is chock full of great British TV alongside awesome American series that we don’t get here on the Australian version of Netflix. Why does Netflix UK have more content? So why don’t we get those titles above and all the other stuff? Blame Uncle Rupert at Foxtel and Presto, blame Stan, blame Quickflix, blame Channel 9, 7, 10 and whoever else is buying up the rights to the content here in Australia. Netflix is a global powerhouse, with local versions of it’s services in a stack of countries across the world. In each of these regions they have signed up awesome movies and TV shows. Between all those regions their total catalogue of content is pretty much everything you could ever want to watch. The problem is, the aforementioned local dinosaurs have signed exclusive deals to content in Australia, making the Netflix UK library, for example, off limits. 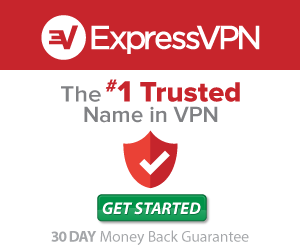 Well then a little service named ExpressVPN is your friend. These guys have built a DNS redirection service, which is a nerdy way of saying they make your internet connection appear as if it’s in the UK. Netflix servers then say “oh hello my UK brethren, come and feast on my delightful UK content” and let you in to the promised land. Once you’re in your internet reverts back to your normal, fast (hah!) Aussie connection and allows you to stream all that UK gear as fast as you watch the Aussie Netflix experience. Aint that a grand thing? It’s fast, easy to set-up and costs about 8 bucks a month so you don’t even notice it (save for the infinitely better movies and TV shows that are now beamed into your eyeballs). They also have a 30 day money back guarantee. There’s nothing more to lose than 5 minutes of your time. How do I find that glorious British content? If you set your region to the UK then Netflix will automatically start showing the content available to the Netflix UK audience. But there is also a website called FlixList UK which is a massive database of every movie and TV show available on Netflix around the world. Use it to sus out the good content you want to watch, then just set your region to the appropriate area using ExpressVPN. Oi Pol… Don’t look so glum… we just got access to UK Netflix. Interested in other countries? Checkout our Netflix USA , Netflix Canada & Netflix NZ guides.